On Monday, July 25, Sue Fondrie was announced as the grand prize winner of the 2011 Bulwer-Lytton Fiction Contest. As a longtime fan (and occasional perpetrator) of spectacularly bad writing, I blogged that sucker up and, to my surprise, Sue dropped by with a comment. Medium story short: She agreed to satisfy my curiosity by answering a few questions. Sue, I loved and admired your amazing sentence. Congratulations on the sweet, sweet victory. Tell us a little bit about yourself. What do you do for a living? Is this victory sweet? I think it soured people on writing, really. Not true! I think it takes a real appreciation of language to create something that egregiously bad. Just look at the popularity of the contest. We are delighted and charmed. Seriously: Great job. For a living, I work with future teachers as an associate professor of Curriculum and Instruction at the University of Wisconsin Oshkosh. I teach the secondary English methods courses, the middle school education course, supervise student teachers in English language arts, and generally help students become teachers. How long did it take you to craft it? I can’t believe something that over-cooked could have been completed in a first draft. Don’t tell anyone, but I cranked it out in a few minutes, initially. Then, as I always recommend to my students, I let it sit for a few weeks and then came back to work on it some more. Hmm, maybe I should’ve let it sit longer . . .
Have you entered the contest in previous years? What appeals to you about bad writing? I’ve never entered before, although I’ve been following it for almost 20 years. What’s not to love about bad writing? It makes my own mediocre efforts seem acceptable. You are an associate professor at a university, the land of ivory towers, usually a bastion for writing that is dry, tedious, filled with arcane language. The academic world has it’s own brand of bad. But your purple prose draws inspiration from . . . where, exactly? Can you site any specific sources? Just a hunch, but have you been reading the Twilight series? 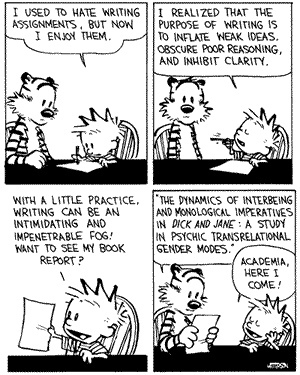 If you read any of my academic writing, you’d see that dry and tedious describes it perfectly. I credit my Bulwer-Lytton win to being raised in a household of people who love a good pun and like to play with language. We often had long pun-filled contests on a central theme. And like any good teacher educator, I’ve read the Twilight series. knows a few things about academic writing. What next? I mean, is there a second sentence in the works? A chapter, a book? Do you have serious writing aspirations? Sadly, I had but the one sentence in me. I’m going to rest on my rapidly decaying laurels. As for serious aspirations, I’m a superior technical writer and an appalling creative one. I’ll have to stick with academic efforts and the occasional (bad) fan fic effort. Good luck, Sue. Thanks for stopping by. Your parting gift is on the way — a signed copy of my recent book, Bystander. And if you ever do write that next sentence, I’ll be eager to read it. In the meantime, I’ll be left with only forgotten memories and sparrow-like thoughts . . .
And Now, Ladies & Gentlemen, the Worst Opening Sentence of 2011 . . .
Congratulations, Sue Fondrie! You have written the worst opening sentence to an imaginary novel in 2011. 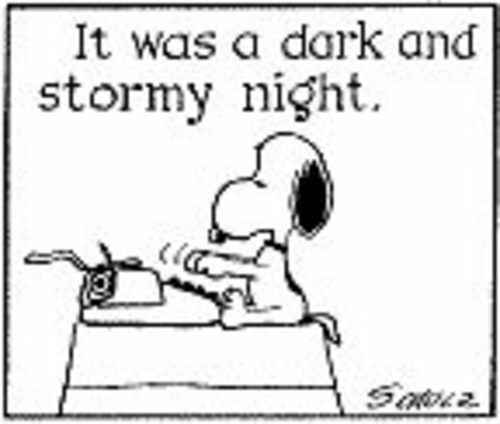 That is, according to the good-natured judges over at the Bulwer-Lytton Fiction Contest. As I stood among the ransacked ruin that had been my home, surveying the aftermath of the senseless horrors and atrocities that had been perpetrated on my family and everything I hold dear, I swore to myself that no matter where I had to go, no matter what I had to do or endure, I would find the man who did this . . . and when I did, when I did, oh, there would be words.